GUARANTEES CLEAR AND UNDISTORTED VISION. Whether it’s reacting to the ball a split second earlier or discerning minute details about your opponent, hawk-like perception is key to performing at a hyper-present level. But when just a slight change of prescription threatens to disrupt your mental clarity, rst-class prescription solutions are needed to keep you at your peak. It doesn’t matter if you’re homing in on the sum- mit of a mountain or processing the minutiae of the mud track; adidas sports eyewear provides a range of personalized prescriptions to keep you alert and in tune with your surroundings. And with a selection of direct glazing, adapter and clip-in solutions to choose from, we guarantee you’ll nd just the right solution to perfect your game. PRESCRIPTIONS TO PARALLEL YOUR UNIQUE POTENTIAL: When you don’t hold yourself to anyone’s standards but your own, you should be able to expect the same from your sports eyewear. All adidas sport frames are available with personalised prescription solutions, so that you can continue to pursue your unique potential. And thanks to integrated Light Stabilizing Technology (LSTTM), you can experience uninterrupted fow, whatever the light conditions, whatever the weather. Built to face anything, always primed to perform, the prescription solution by adidas sport eyewear is your ultimate partner on the path to success. Push it to the limit with panoramic vision and the power to process details at every angle. Is the ultimate prescription solution, promising an unrestricted field of vision to help you push the boundaries of what’s possible. And because direct glazing solutions sit directly within the frame, you can experience dynamic vision without distractions. Choose between single vision and progressive lenses, both of which are available with adidas LSTTM technology. 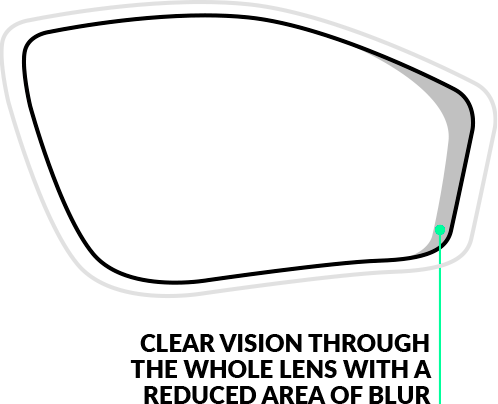 WHAT IS THE ADVANTAGE OF A LENS WITH FREEFORM-TECHNOLOGY? 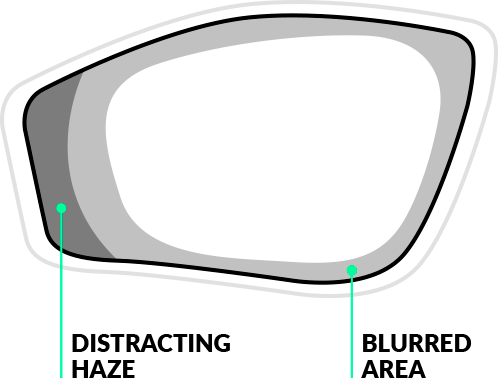 Generic lenses have a disruptive blur around the perimeter of the lens. In contrast, freeform technology provides a clear view over the whole area. The optimum choice for those chasing perfection with higher prescriptions. HIGH POWER PRESCRIPTIONS? NOT A PROBLEM. Stay versatile in the face of constant change with the ability to quickly and easily switch lenses.